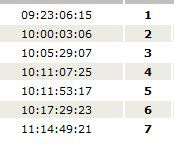 After correcting for handicap, these are the finishing times for Shockwave’s division. She’s the fifth boat. The numbers show days/hours/minutes/seconds. 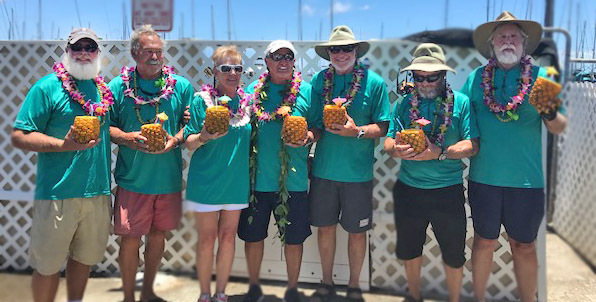 Mike and Jo Grijalva and their predominantly AYC crew arrived at the finish line of the Transpac at 11:44 am Hawaii time Tuesday, July 17. They were placed 5th in their division, but after two weeks in the Pacific, the corrected times of the entire division were within a few hours of each other. Al and Sandy Lehman greeted son Santa Claus, oops, Al Jr., in Honolulu. Join our free online email discussion list by visiting this page on Yahoo! Groups, or enter your email address in the form below. 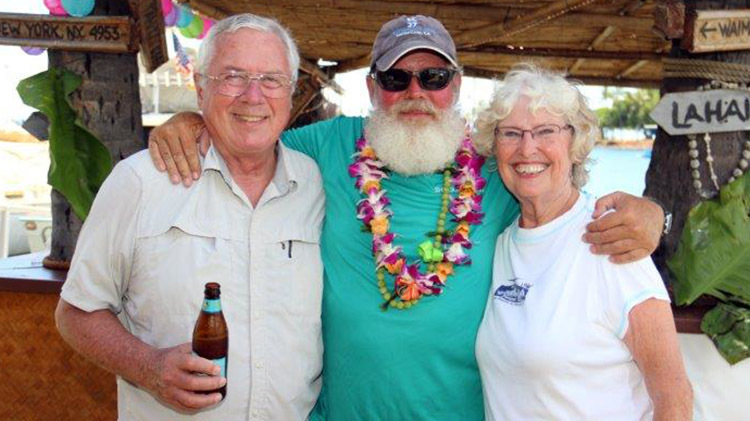 Copyright © 2013 Arizona Yacht Club – Sailing in Arizona. All rights reserved.